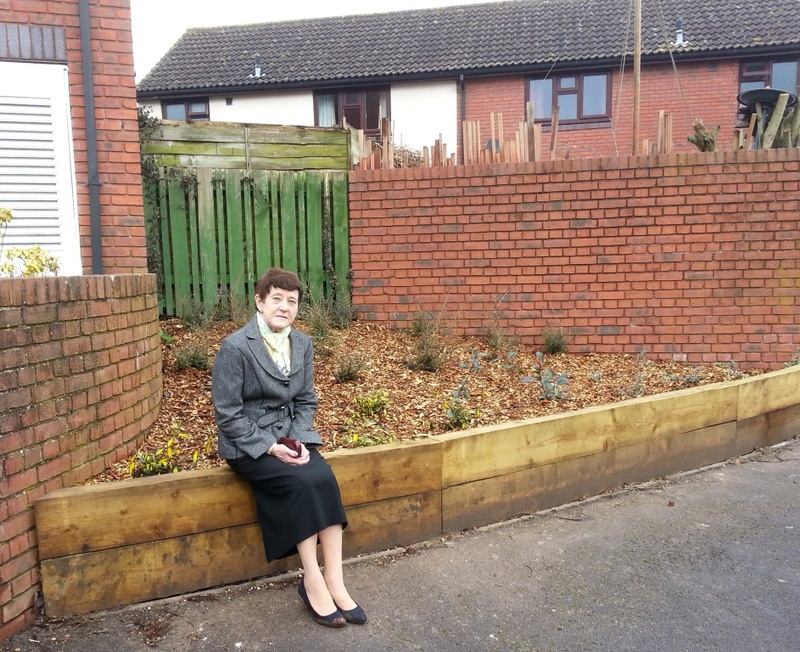 Thanks to action by hard working town councillor Barbara Carpenter environmental improvements have been made on Tiberius Road. 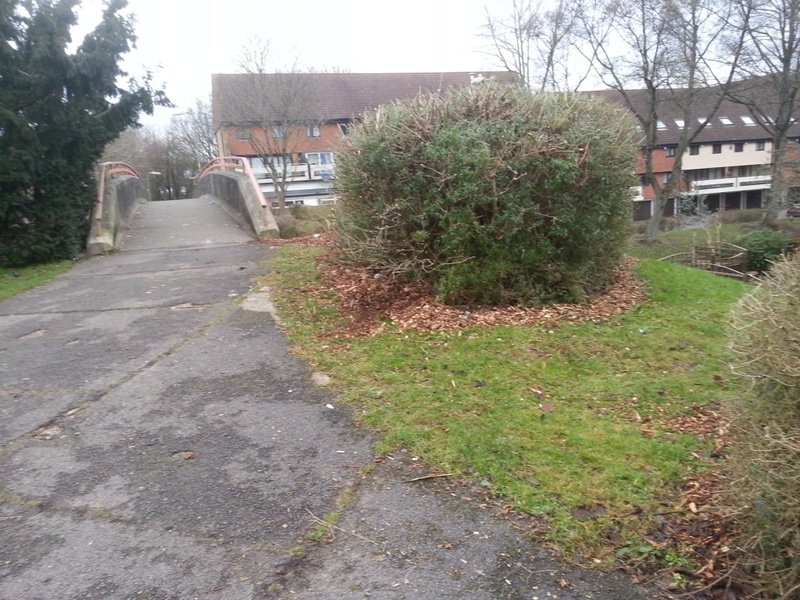 Overgrown trees were removed, and grass verges and flower beds tidied. Barbara is also talking to highways officers to ensure the promised repairs to footpaths are completed. We were particularly concerned by local comments that the decision to introduce yellow lines on King Arthur’s Way was made by or for local Liberal Democrats. The following letter of clarification has been sent to King Arthur’s Way residents. We will also be contacting Roman Way residents. Many of you have contacted us in the last twenty four hours regarding the recently introduced double yellow lines on King Arthur’s Way. These are outside Knights Enham School, in Launcelot Close, and at the junction of King Arthur’s Way and Stuart Court. There has been some suggestion that these were introduced at the prompting of or by local Liberal Democrats. This is not true. The restrictions were introduced by Test Valley Borough Council following “consultations” carried out in June of last year on a range of parking restrictions for the whole of Alamein ward. Two public meetings were held and 250 letters sent out. Full details can be seen in the attached council report. Given that there are about 900 homes in the King Arthur’s Way area it is likely most of you didn’t get a letter. This is confirmed by the fact that only two comments were received on the plans for King Arthur’s Way. The decision to introduce the parking restrictions was made in July 2014 by your conservative borough councillors Phil North and Janet Whiteley. The third conservative councillor Alex Brook didn’t attend the meeting but later signed off on his colleagues’ decisions. All of this is clearly recorded in the attached report. Local Liberal Democrats had no input in the decision making and made no comment on it until November when we lobbied TVBC to take action on road safety outside Roman Way School. We campaigned then and still want to see a controlled crossing outside the school. We were advised of the decision to introduce yellow lines outside the school and that these would be introduced in February. We supported these as a first step to improving road safety at Roman Way School. We did not endorse any of the other parking restrictions. The problem here is that your local councillors have signed off on a package of parking restrictions without bothering to adequately consult with you, or inform you on the plans or decisions. Many of you will have recently received an eight page colour newsletter from them. There is no mention of the yellow lines they have approved. This is a disgraceful failure on their part for which they owe everyone an apology. We hope to speak to as many of you as possible about the way these new yellow lines were introduced and will raise your concerns with the council. If you have any comments in the meantime please contact us. 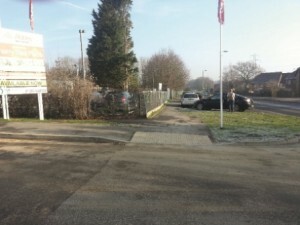 Andover Liberal Democrats have asked for a review of parking provisions at the Shepherds Spring Nursery and Children’s Centre where parking controls are being introduced this month. The building of new houses behind the centre has removed most of the parking previously used, and caused problems with unauthorised parking at the nearby St Pauls church. 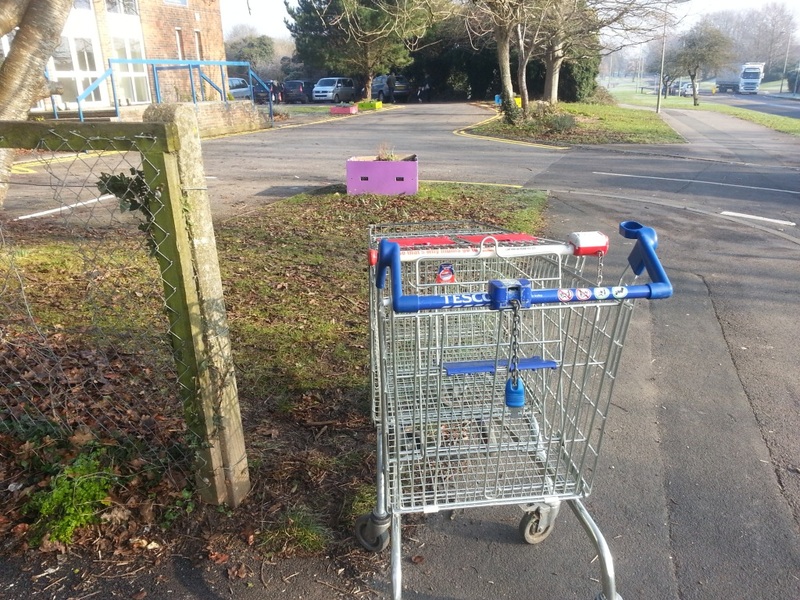 The church cannot guarantee to supply parking for visitors to the centre. 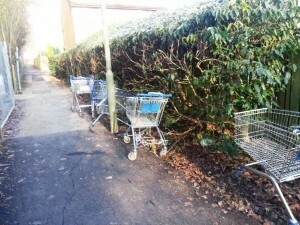 During on of our regular checks on local footpaths the Alamein Focus team found a “new trolley park.” The photos show supermarket trolleys abandoned along the footpath between Smannell Road and Augustus Walk. We have reported this to Test Valley Environmental Services and look forward to seeing them removed. by using the council’s text service – text ‘love’ to 60060 followed by your message. or telephone to 01264 368000. 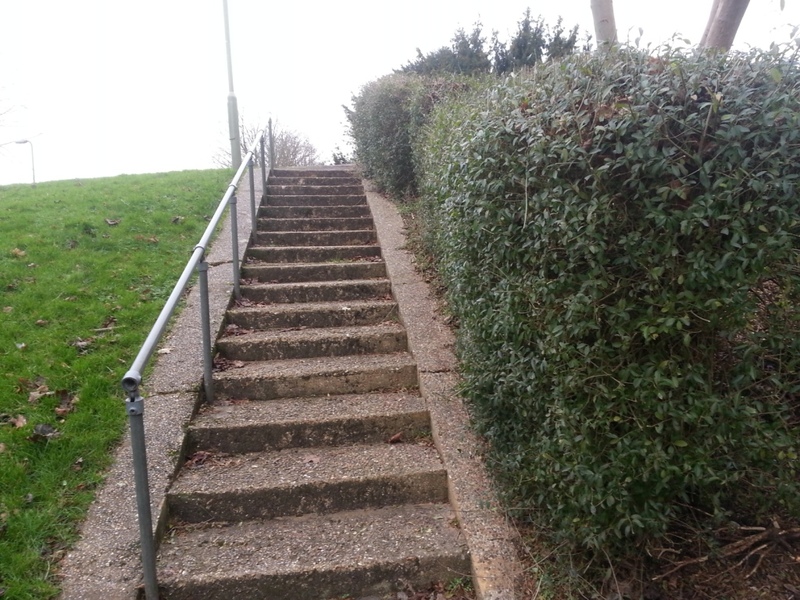 Following several complaints received via our Focus reply slips Len Gates contacted Aster Property about poor grounds maintenance on King Arthur’s Way. Bushes had been left uncut and overgrowing footpaths and steps or were badly cut with cuttings left in and around the hedges. 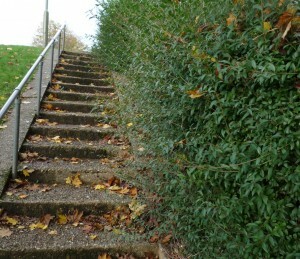 Some tidying was carried out before Christmas and Aster will be reducing the sizes of some hedges later this year. Pictures show work already carried out between Camelot Close and the footbridge across King Arthurs Way. If you know of any areas needing tidying up let your Focus team know. We are pleased to report that following a meeting between local campaigners and council officers improvements to road signage will be carried out on the approach to Roman Way School. The meeting was held in November and reported here on the Alamein Focus team website. Among the traffic calming measures suggested by Len Gates and the campaign team was a review of existing road signs and additional signs on the road. The Focus team had previously surveyed the roads and signs outside both Roman Way and Knights Enham Schools. Photos and details were submitted to officers and discussed at the meeting. A specific issue requested was the repositioning of the existing school sign on the approach from Newbury Road to ensure it was visible to drivers exiting the A343 King Arthurs’ Way roundabout. Details of the discussions and agreed improvements were reported in our Roman Way Focus of November. Both the suggestions to move the sign and a request for extra “slow” signs were taken up by highways officers and have now been approved by the county council highways department. The sign has been moved and the extra road markings will be painted in February at the same time as painting double yellow lines to prohibit parking at the school entrance. This was another measure agreed at our meeting. The Alamein Focus team will continue to monitor road safety in the area and report back on improvements as they happen. 2008 Lib Dem councillors Robin Hughes and Len Gates campaigned for and got a 30 mph limit through Enham village..
Alamein Focus team are calling for a reduction in the speed limit along Newbury Road from Enham arch through to Enham Alamein. The current speed limit varies between 30 mph and 50 mph along this stretch of road. 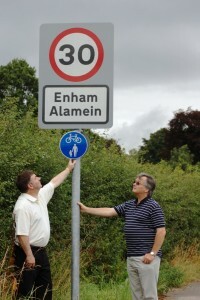 Enham Alamein parish council also want speed restrictions south of the village. 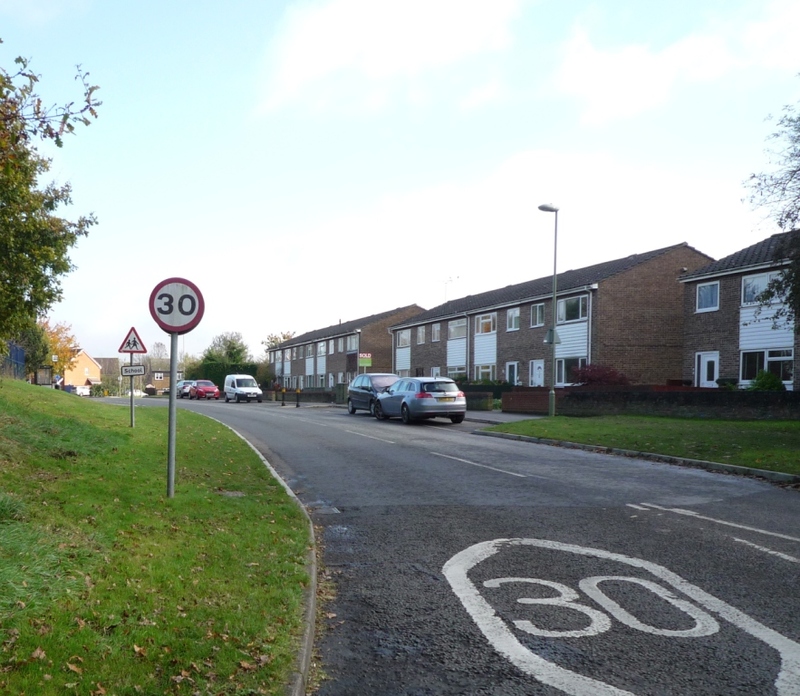 The current 30 mph limit in Enham Alamein village was introduced after a successful campaign by Lib Dem councillors Len Gates and Robin Hughes. The Lib Dem proposal are to replace the existing 40 mph (Greenwich Way to King Arthur’s Way), 50 mph (King Arthur’s Way to Knights Enham) and 60 mph (Knights Enham to Enham Alamein) with simpler, safer limits of 30 mph (Enham Arch to Smannell Road) and 40 mph (Smannell Road to Enham Alamein). The Alamein Lib Dem team have already succeeded in persuading the borough council to review traffic calming measures on Smannell Road and on Viking Way outside Roman Way School. During November and December Alamein Liberal Democrats surveyed over 900 residents on their views of local planning policies. Replies were overwhelming critical of the Tory run council and its policies. Over 70% of respondents agreed strongly, and a further 20% agreed, with the statement “Andover has grown with many more homes but no other facilities.” Just 5% disagreed with the statement. A similar margin of 90% called for improvements in local roads to cope with the extra traffic generated. The only crumb of comfort for planners was the overall satisfaction with the current level of affordable housing. When asked what extras facilities were most needed 84% said more shops, 58% wanted more and better local employment and 54% wanted more/cheaper town centre parking. All of these and more were promised as the “planning gain” when the original housing plans were approved.